Container farming can elevate any cafeteria, capturing the imagination and interest of kindergarten students, college seniors, and hardworking adults alike. It is never too early or too late to get people (young and old!) interested in health, nutrition, and sustainability! Grown by Freight Farms is an all-inclusive managed farming service. The concept is simple: we handle all the farming operations and deliver the produce directly to you every week! Grown by Freight Farms makes it easy to integrate farm-to-table greens in your existing dining operations, or start a CSA for your community. Sustainable, local food production directly on campus. 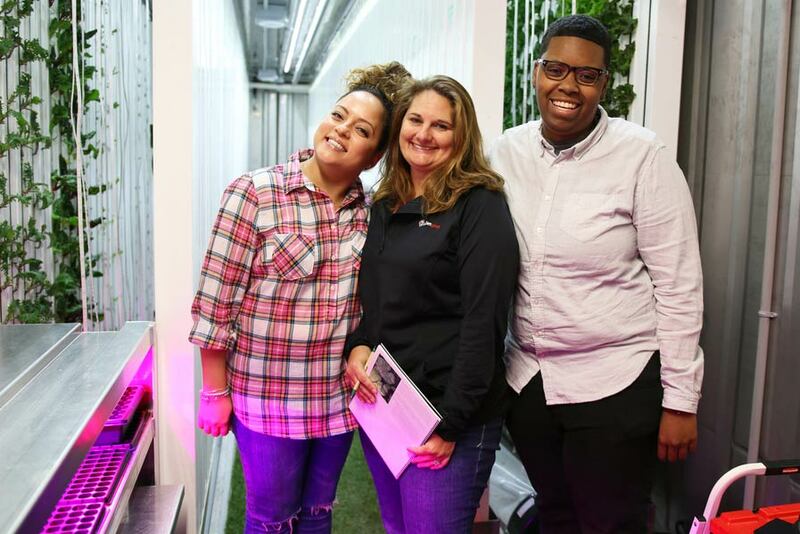 Freight Farms provides today’s modern corporate, university, or high school campus the opportunity to seamlessly integrate sustainable food production into current operations to make high-quality, local food a staple of the campus culture. Each farm offers a unique flexibility to create tailored programs to meet the specific needs of each campus. Our farms are powerful tools for promoting health and wellness, sustainability and innovation while fostering a culture of social responsibility. Demonstrate a commitment to sustainability by growing food directly on campus year-round. Promote student and employee health and wellness by serving produce harvested just hours before consumption. and educate students and employees on the journey their food takes. Georgia State’s Panther Dining is committed to keeping sustainable practices at the forefront of their dining operations. The LGM™ enables the university to serve high quality, farm-fresh produce to dining hall patrons in hopes of influencing those in the community to be conscientious of food sources and the effect on the food chain and ecosystem. Click to learn more! When Google decided to add a Freight Farm to their Mountain View campus, they had a good reason. The company famously feeds all 20,000 of their employees breakfast, lunch, and dinner - now, they can add a sustainable twist to their enormous operations. Click to learn more! UMass Dartmouth is growing a variety of lettuces that go directly into their dining halls, traveling feet not thousands of miles from farm to table. On top of the fresh produce they’re serving, they are able to educate students on new methods of growing local produce and the importance of knowing where food comes from. Click to learn more! For Chartwells, the goals of bringing container farming to campus were threefold: provide an educational experience for students on campus through sustainability internships, solve the issue of not being able to source local produce year-round, and grow produce on campus with the least invasive growing method. Click to learn more! Clark University and the Sodexo Dining Service Team brought the Leafy Green Machine™ to campus in an effort to product students with fresh, local produce year-round. The LGM™ has been a great tool for bringing transparency to operations all while educating students. Click to learn more! Hannaford Supermarkets donated a Freight Farm to the college, making it our first in Maine! The farm’s greens go straight into the College’s dining services every week. The farm is also the cornerstone of St. Joseph’s Institute for Local Food Systems Innovation, which is the schools primary initiative in the development of a sustainable agriculture program. Click to learn more! "Actually working in a hydroponic farm makes it so real. That’s why I’ve been so thankful that Chartwells decided to invest in students. Chartwells has invested so much into me, and they want to make sure that students here get involved in things they’re passionate about." "I absolutely love this job–it's not considered a job for me, this is like a fun after-school activity. It's one of the greatest things I've done in this university: just having other people eat freshly grown, organic, crops that we grow." 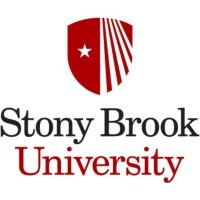 Stony Brook University - our first campus farmers! "[Fresh Ideas] had a vision of sustainability for the future they wanted to see: not only making and crafting food, but also producing their own food in an efficient, sustainable way...This is a way to enjoy the flavors of fresh produce like maybe you never have before–this is like having a farmers market right on campus and something that your friends and classmates have had a hand in growing." Here at Freight Farms, we have worked with over a dozen campuses. Explore how a farm could transform your campus culture and identity! It's never too early to begin shaping children's creativity and desire to improve the world they are inheriting. With a Freight Farm at your public or private elementary, middle, and high school, you can inspire an new generation of thinkers, farmers, and consumers. Check Out our School Farmers!